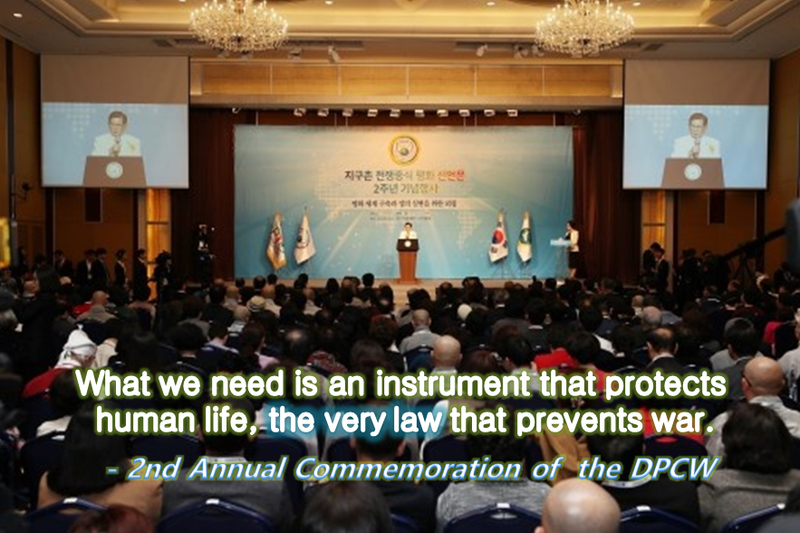 Mr. Man Hee Lee Said "What we need is an instrument that protects human life, the very law that prevents war." and he talked 'What world peace is achieved' is the Peace Prize to me! HWPL Chairman, Mr. Man Hee Lee was awarded the '2018 Peace Prize' from the Novel Foundation of Korea. In this era, Mr. Man Hee Lee, Nobel Peace Prize laureate is the most peace active only for world peace in the world. He is now 88 years old. Rather than waiting to take peace for granted, it is we who should put an end to war to protect humanity and our globe, and leave peace as a legacy for future generations. Laws of today can not compensate for the lives sacrificed from war. What we need is an instrument that protects human life, the very law that prevents war. What is law he saying here? ☞ To view detailed information about DPCW.